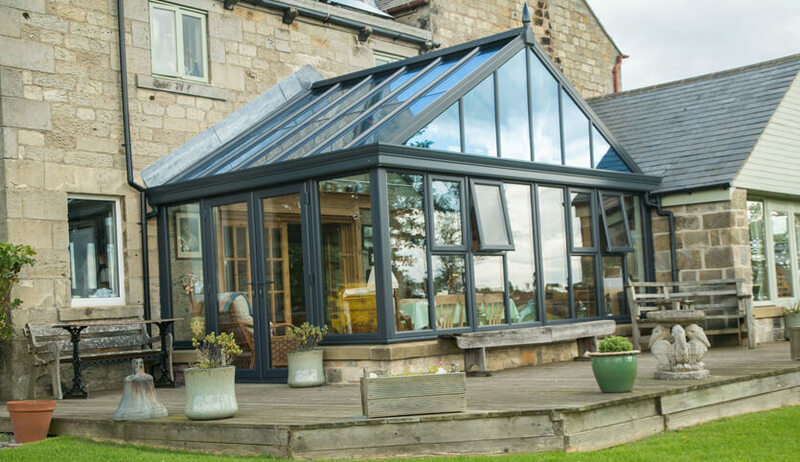 When you decide to install a conservatory, the type of roof you choose is one of the most important decisions you’ll make. 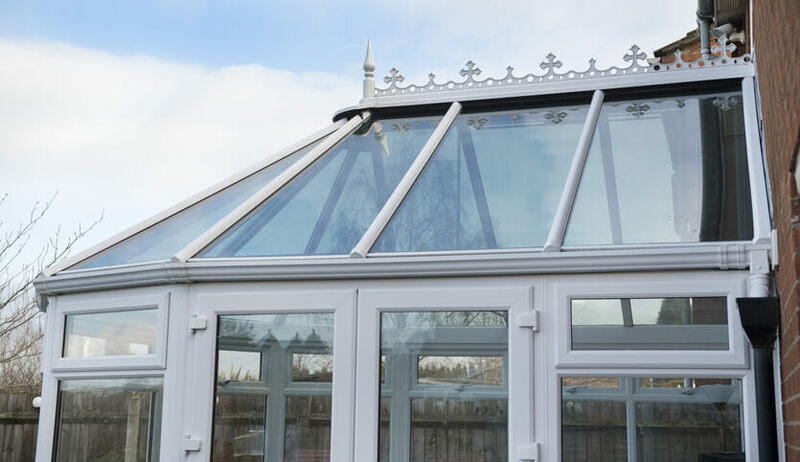 It is an integral part of the structure and will have a huge impact on both the look and performance of your conservatory. An old and inefficient conservatory roof will have a negative impact on your home’s thermal performance. A modern replacement will boost your standard of living, creating a warmer home for you to enjoy. 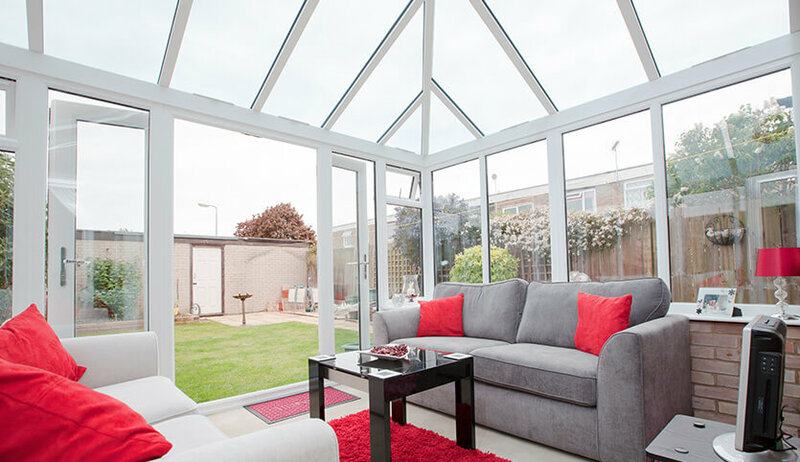 The importance of choosing a high quality conservatory roof cannot be underestimated. Modern glass conservatory roofs provide a wealth of benefits. They help to regulate the admittance of the sun’s rays. This helps to keep your home at an ambient temperature all year round. 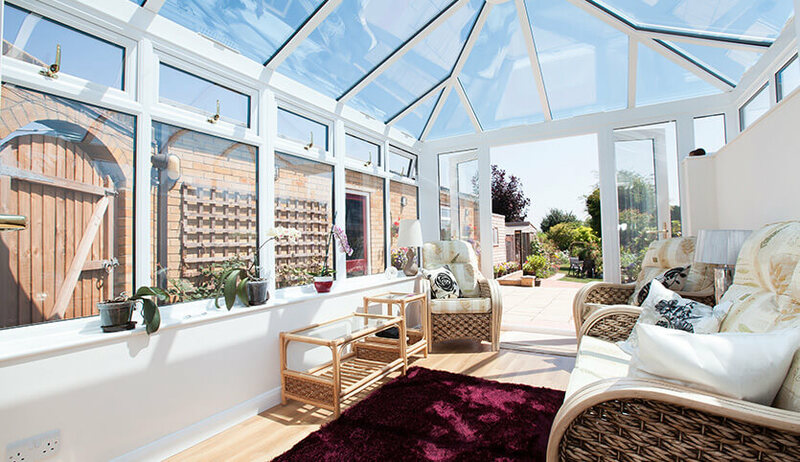 Heat from the sun is absorbed in the winter and during the summer the glass reflects the sun, helping to keep your conservatory’s interior nice and fresh. When a glass roof connects directly to fully glazed walls, you’ll create a wall of glass effect, providing extensive views of your exterior space and allowing an abundance of natural light into your home. 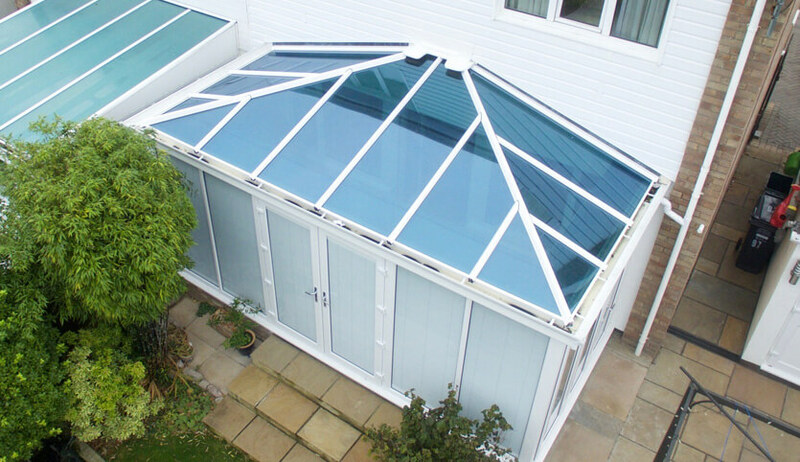 At FineLine, our glass roofs provide some of the highest levels of performance available today. They achieve extremely low U-values for enhanced thermal efficiency. Solar control glazing keeps your home’s temperature in check. While innovative self-cleaning glass provides the best in low maintenance finishes. Our glass roofs are draught free, weather resistant, and available in a wide range of styles and configurations.